This is something remarkable! A postage stamp sized storage that holds about 64GB? Sandisk is reportedly now offering a new class of solid state drives called Integrated Solid State Drives(iSSD). 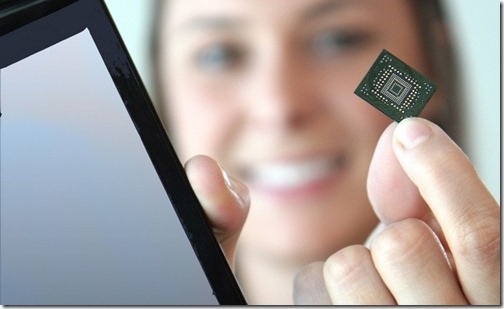 These devices are terribly small, smaller than a postage stamp and range anywhere from 4GB and up to 64GB. Sandisk says mobile devices are the most benefited by these iSSDs. These iSSDs offer low power consumption and the much needed space conservation which will let mobile manufacturers build smaller yet smarter phones. The drive will offer 160MB/sec sequential read rates and offers 100MB/sec sequential write speeds. Measuring just 16mm x 20mm x 1.85mm and weighs less than a gram. The drive works via a SATA interface which makes it compatible with all popular operating systems in the market. Unlike any other drive, the drive will be soldered to the main board of the device rather than having an plug-in option. Some analysts predict that the future of hard drive is certainly going to be SSD and iSSDs which offer higher speeds, higher storage and a very low power consumption and extremely light weight. If an iSSD was to be integrated into a laptop instead of a SATA hard disk drive, it would quadruple the battery life and also would reduce heat and weight of the laptop along with noise. No pricing information was given.